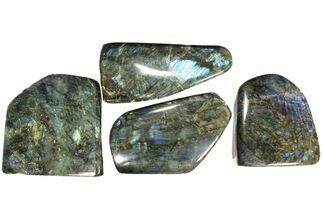 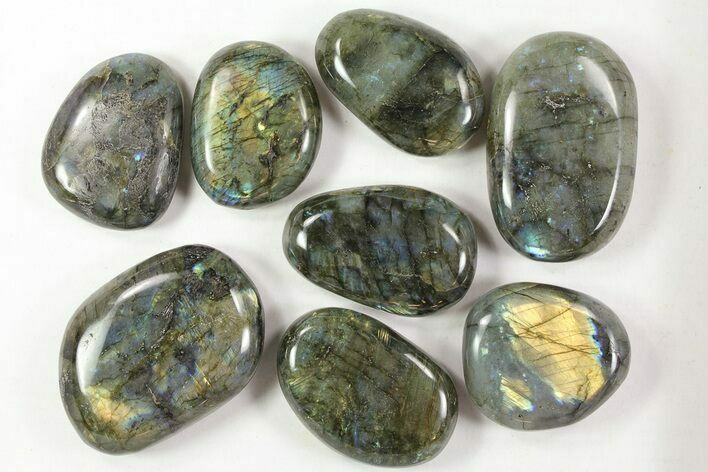 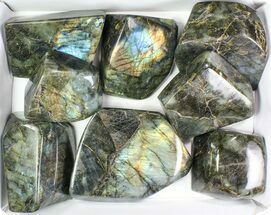 This is a wholesale lot of 25 lbs of high quality, polished labradorite from Madagascar. 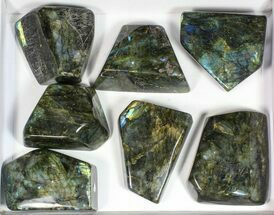 The lot is made up of 46 pieces measuring from around 2" to a little over 4" wide. 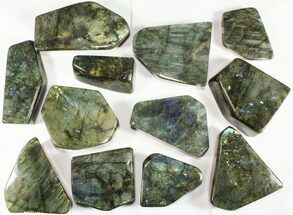 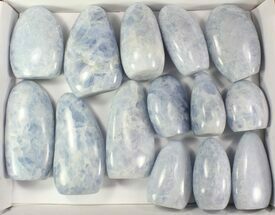 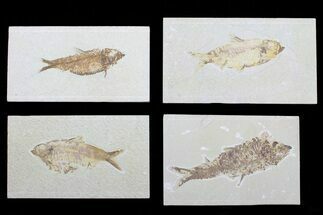 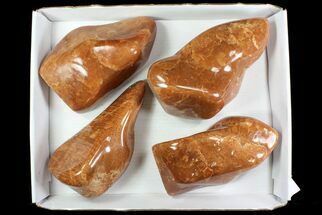 The quality varies from piece to piece but in general this lot has great color play and Labradorescence. 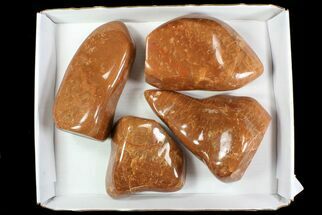 At the wholesale price for the lot it works out to only $12/lb and about $6.50 per piece. 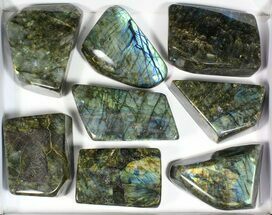 On average these pieces can easily retail for several times the wholesale price.